If you have missing or damaged teeth, Mavis Dental Centre & Dentistry In The Village in Mississauga ON have many great options to help you get back on track to a healthy and functional smile. However, before you can schedule your dental implant placement, the first step is a consultation to discuss your options with Dr. Michael Luciani or Dr. Amanika Luciani. This will allow us to take a look at your problem areas and figure out which tooth replacement option works best for you and your budget. To give you some background information, below you will find a side-by-side comparison of the three most popular treatment options for replacing teeth: dentures, bridges, and dental implants. This tooth replacement treatment consists a row of replacement teeth attached to a mold of a special plastic or metal and plastic material that matches your gum color. This tooth replacement treatment consists a row of replacement teeth attached to a mold of a special material that matches your gum color. This option is reasonably priced and easy to obtain. Custom sets can usually be made in just a few weeks. Allows for improved functionality without surgery or significantly altering the structure of surrounding teeth. Dentures can be uncomfortable sometimes. Dentures are the least natural looking option. Dentures do not halt the process of bone deterioration that can happen when teeth are missing over many years. 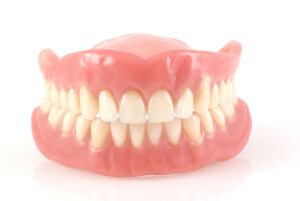 Over time, denture wear can result in a sunken facial appearance and premature wrinkles around the mouth. Replacement is necessary every 5-10 years. Some patients have difficulty speaking clearly and enjoying some of their favorite foods (like whole apples or corn on the cob). When patients choose this option, their adjacent natural teeth are filed down to provide space for the replacement teeth. Once this is done, caps are placed over the adjacent teeth to provide anchors for the bridge (replacement tooth or teeth). This option is also reasonably priced and cheaper than some other options. Bridges can often be installed quicker than other treatments. Bridges present less risk since parts can be replaced without significant pain or effort. 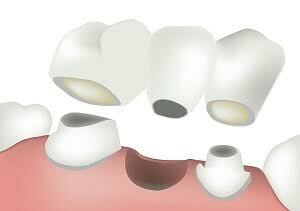 After getting a bridge, the damage to surrounding teeth is not reversible. This process could increase the risk of decay or the need for root canal treatment in the future. Replacement is needed every 5-10 years. This option is based upon a foundation of titanium roots that are permanently connected to the jawbone. Once healed, the pieces fuse with the jawbone tissues to make for a strong and permanent anchor for a natural-looking and functional replacement tooth. 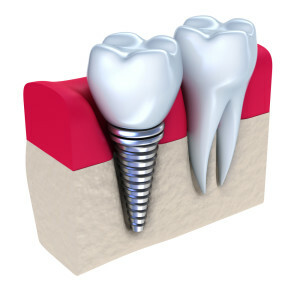 Dental implants function similar to real teeth. This treatment is the only one that can eliminate jawbone deterioration, so jaw muscles can stay strong, supple, and functional. No extra care is necessary since implants can be maintained with daily brushing, flossing, and regular dental cleanings and exams. This option is considered an elective procedure so it is not usually covered by dental insurance, but more plans are allowing insurance funds to be used toward a portion of the implant. The process can also be long compared to the ease of other options that are done in just weeks. Dental implants require multiple visits over the course of 3 – 6 months and supplementary procedures like bone grafts and tissue augmentation may be required for some patients. This option is the most expensive of tooth replacement options initially. However, in the long run, if you consider the added expenses of replacing other options every 5-10 years, dental implants are reasonably priced. Now that you have learned about the three most popular treatment options, it would be a good time for you to read more about What Dental Implants Are. Alternatively, if you would like to know more about dental implants candidacy or your payment options, please read the rest of our Dental Implants InfoSite or call us for more information now. Mavis Dental Centre & Dentistry In The Village proudly serve patients in the Mississauga, ON area, so call us today for a consultation.